But the question remains, at what point did forelimbs evolve into wings – making it possible to fly? 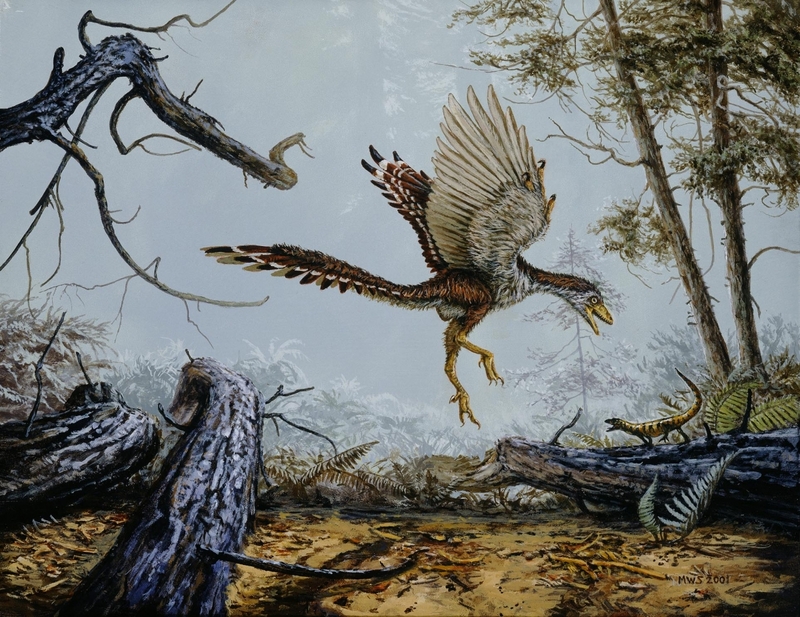 McGill University professor Hans Larsson and a former graduate student, Alexander Dececchi, set out to answer that question by examining fossil data, greatly expanded in recent years, from the period marking the origin of birds. In a study published in the September issue of Evolution, Larsson and Dececchi find that throughout most of the history of carnivorous dinosaurs, limb lengths showed a relatively stable scaling relationship to body size. This is despite a 5000-fold difference in mass between Tyrannosaurus rex and the smallest feathered theropods from China. This limb scaling changed, however, at the origin of birds, when both the forelimbs and hind limbs underwent a dramatic decoupling from body size. This change may have been critical in allowing early birds to evolve flight, and then to exploit the forest canopy, the authors conclude. As forelimbs lengthened, they became long enough to serve as an airfoil, allowing for the evolution of powered flight. When coupled with the shrinking of the hind limbs, this helped refine flight control and efficiency in early birds. Shorter legs would have aided in reducing drag during flight -- the reason modern birds tuck their legs as they fly -- and also in perching and moving about on small branches in trees. This combination of better wings with more compact legs would have been critical for the survival of birds in a time when another group of flying reptiles, the pterosaurs, dominated the skies and competed for food. Funding for the research was provided by the Fonds de recherche du Québec - Nature et technologies, the Canada Research Chairs program, and the National Sciences and Engineering Research Council of Canada.